There is plenty of evidence that shows clearly the course of the Rubery & Frankley Railway although there has been considerable redevelopment at the Rubery end. In 2002/3 the MIAC visited the site of the railway to photograph and record details of this evidence. 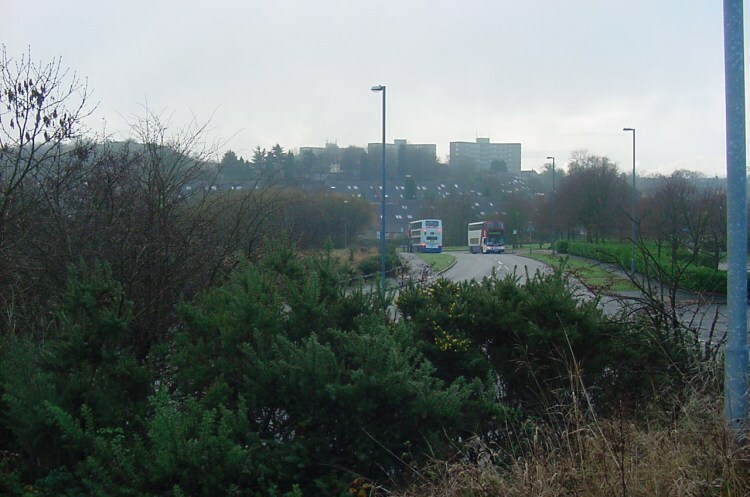 This photograph is taken from the former Holly Hill quarry looking south towards the three blocks of flats that have been built opposite to the former Rubery Hill Quarry. The starting point for the Rubery & Frankley Railway was Rubery Station on the Halesowen Railway. The station was located just to the left of the two Travel West Midlands buses. (24th November 2002). 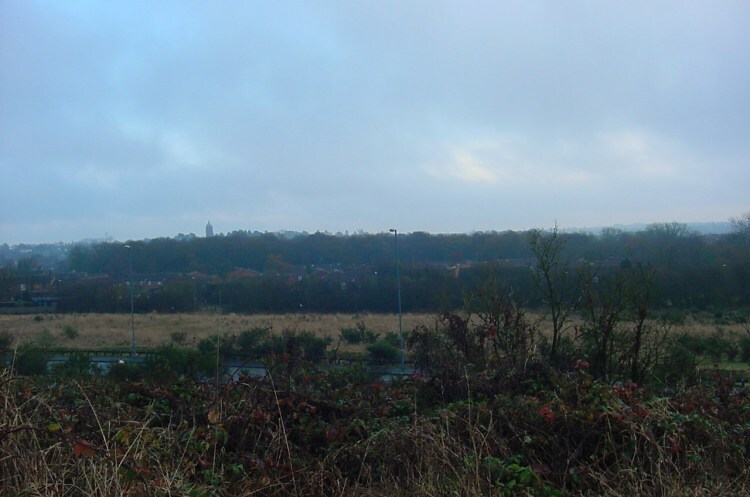 This photograph is taken from the site of the former Holly Hill Quarry looking east towards the Hollymoor Hospital water tower (itself the terminus of a former railway). 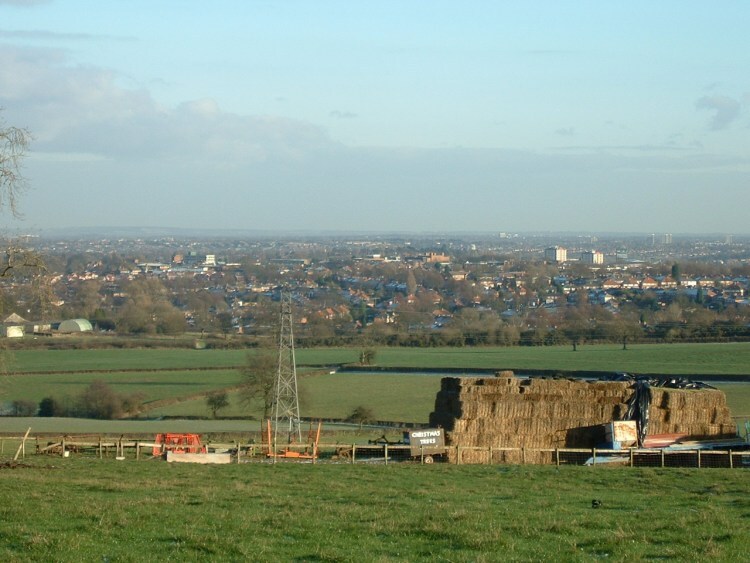 The road in the foreground is the new 'Arden Road' that bisects the quarry site. Beyond the open ground is a row of trees that are on the trackbed of the Rubery & Frankley Railway. This location is midway between Rubery Station and the first level crossing at New Street. (24th November 2002). This is the much rebuilt former crossing keeper's cottage at New Street, Rubery. It is called 'Rubery Crossing Cottage'. The Rubery & Frankley Railway ran behind the cottage and crossed New Street in front of the new houses that can be seen beyond the cottage. (24th November 2002). After crossing New Street the railway ran north to Frogmill farm (where there was another level crossing and cottage) but all trace of this section has disappeared beneath a housing development. 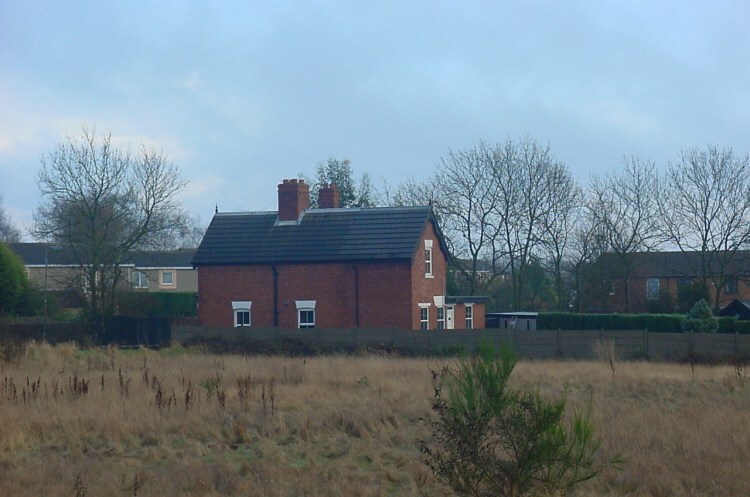 The third level crossing was at Egghill Lane and this photograph shows the crossing keeper's cottage that is on the west side of Egghill Lane. 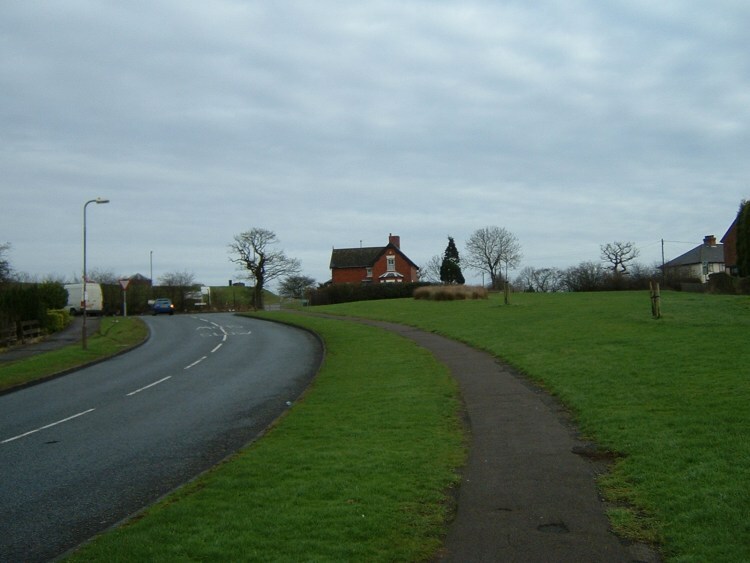 The railway came in from the left hand side (by the white van) and crossed over Egghill Lane to pass to the right of the cottage (18th January 2003). This photograph is taken from near to Frankley Beeches wood looking north towards Birmingham. 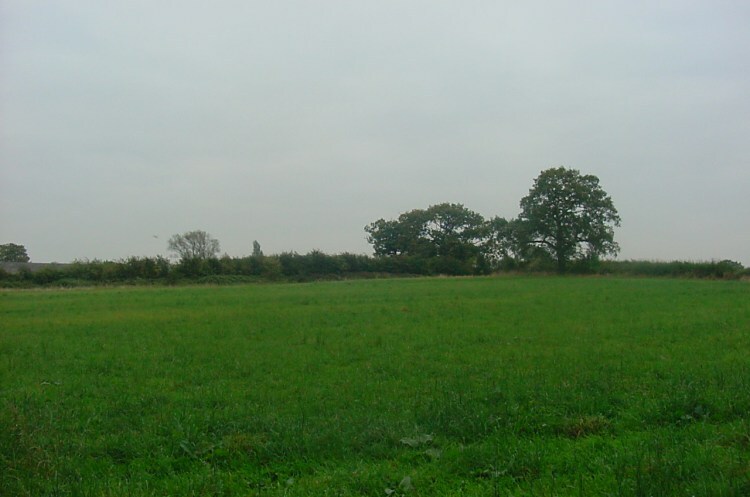 The Rubery & Frankley Railway followed the line of trees that are in the middle of the photograph beyond the fields of Egghill farm. (6th January 2003). This photograph is also taken from near to Frankley Beeches wood with the large office blocks and telecommunication tower in Birmingham city centre visible in the background. 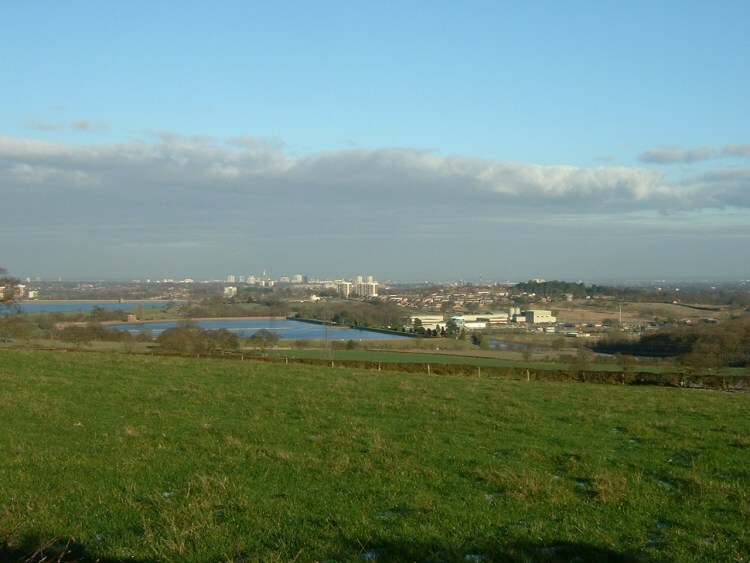 The semi-circular reservoir is the Frankley Reservoir whilst beyond is the newer Bartley reservoir. The Frankley water works buildings to the right of Frankley Reservoir have been heavily re-developed over the years but are situated on the site of the terminus of the Rubery & Frankley Railway. The railway entered the reservoir site just to the far side of the woods on the right hand side of the photograph. (6th January 2003). The line of trees in the middle of this photograph are situated on the trackbed of the Rubery & Frankley Railway. To access this location that is part of a public footpath, cars should be parked at St Leonard's Church. A footpath runs from behind the church to the perimeter fence of Frankley Reservoir. Follow the perimeter fence eastwards and continue through the wood. The railway was midway between the wood and the farm. (28th September 2003). 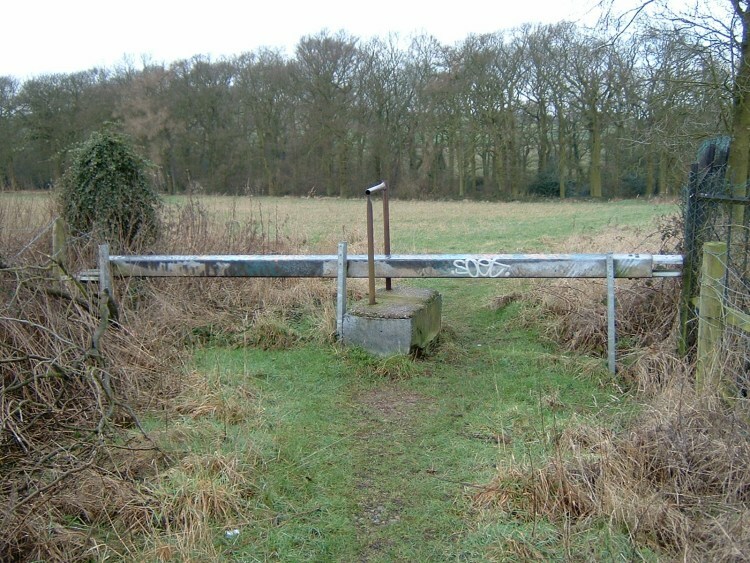 The railway passed into the works at this location that is midway between the woods and Frankley Lodge Farm. Note that the spiked railings mark the original perimeter fence but a new fence has now been erected nearer to the works (19th January 2003).